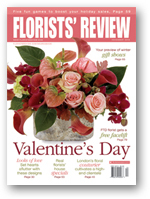 Florists' Review is the oldest and largest trade publication in the floral industry and the industry’s only independent monthly magazine for the retail/wholesale market. It is widely read in the United States and in more than 80 countries abroad by retail florists, wholesale suppliers, growers, manufacturers and students. In 1897, Gilbert Leonard Grant (1859-1913) founded The Weekly Florists' Review, as it was then titled, in Chicago. Acclaimed by a colleague as “the most informed man on horticulture we ever met,” Mr. Grant led retail florists through the days when flowers were stored in iceboxes, deliveries were made by horse-drawn carriages and the all-important Mother’s Day had yet to become a national holiday. Through Mr. Grant’s dedication to the publishing field, ours was the first floral magazine to use photography rather than sketches, giving florists a true picture of what was happening in their industry. Current president Frances Dudley bought Florists’ Review in 1987 from Allen Seidel, who also publishes American Nurseryman. Through her direction, the company continues to provide retail and wholesale florists with valuable, in-depth information including the latest design and retailing trends, practical marketing and customer service advice, new products and services and a host of other topics. Florists’ Review Enterprises comprises two office buildings in Topeka, Kan. All services are provided at our offices with the exception of printing.